This is the fourth and final post in a series of articles on Apache Syncope 1.2. The previous tutorial looked at some new features relating to the Schema in Apache Syncope 1.2. This post will look at the REST API of Syncope and how it can be queried. 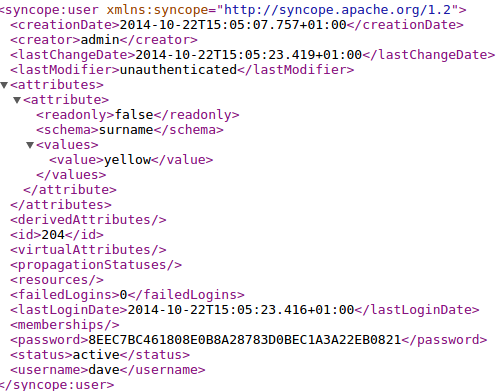 We will also look at the new JAAS LoginModule for Apache Syncope that has been developed in Apache Karaf. syncope/rest/users/search?_s=lastLoginDate=ge=2014-11-13 - Search for the users who have logged in since 20014/11/13. syncope/rest/users/search?_s=surname==smith - Search for the users with surname 'smith'. In a previous blog post written about the REST API of Apache Syncope, I gave detailed of a github project with some CXF based testcases. The tests showed how a CXF service could use Apache Syncope to authenticate a WS-Security UsernameToken presented by a client (as well as HTTP/BA). In addition, some other tests asked Syncope for the roles associated with the user, and enforced access to the service depending on the result. This github project has now moved to a new location here, and the tests have been updated to use the correct URLs for Apache Syncope 1.2. 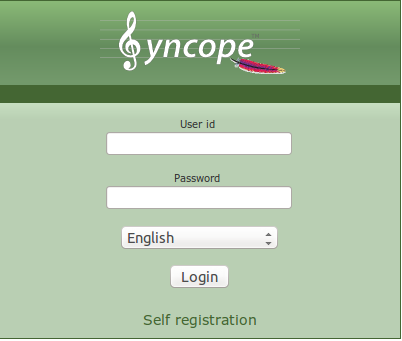 See Jean-Baptiste Onofré's blog for a further description of how to set up and test the SyncopeLoginModule. This is the third in a series of articles on the new features of Apache Syncope 1.2. The first article covered installing Syncope using the new UI installer. The second article demonstrated some new features of Apache Syncope 1.2 when working with backend resources, namely the ability to synchronize and propagate encrypted passwords. This post focuses on some new features associated with schemas in Syncope 1.2. 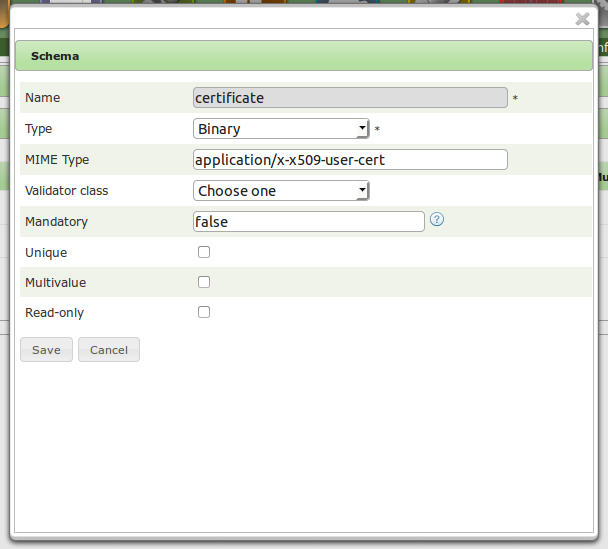 Configuration Schema: The Configuration parameters are now covered by the Schema. You can add new attributes for the Configuration section in the Schema section. Encrypted Schema attributes: A new "Encrypted" attribute type is available. This will ensure that Syncope always keeps the attribute value encrypted with the specified key. Binary Schema attributes: A new "Binary" attribute type is available. We will now focus on this latter feature. We will show how to use binary attributes with two examples. Start Apache Syncope + set up the LDAP Connector + Resource as covered in the first two tutorials. 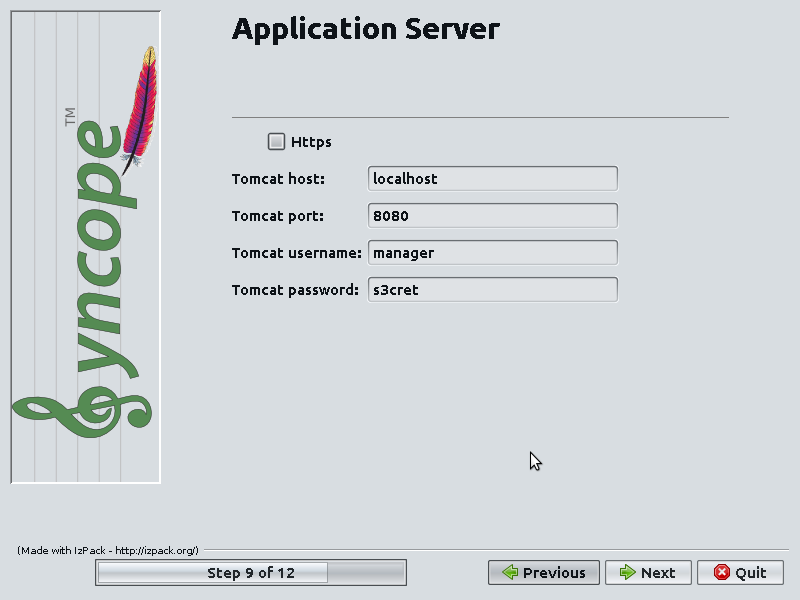 The previous tutorial on the new features of Apache Syncope 1.2 showed how to use the new UI installer to deploy Apache Syncope to Apache Tomcat, using MySQL for persistent storage. Last year we covered how to import users (and roles) from backend resources such as a database or a directory. An important new feature of Apache Syncope 1.2 is the ability to import non-cleartext passwords into Syncope when synchronizing from backend resources (and also the ability to propagate non-cleartext passwords to resources). The default behaviour is to hash the password according to the global configuration parameter 'password.cipher.algorithm' (defaults to SHA-1). This is problematic if the password is already hashed, as user authentication via the Syncope REST API will then fail. The first step is to start Apache Syncope and to create some policies for account and password creation, as well as synchronization. Start Syncope and go to the Configuration tab. Select "Policies" and create new "global" policy types for both "Account", "Password" and "Synchronization", with some sensible default values. 2) Synchronizing non-cleartext passwords from Apache Derby. Instead of using a plaintext password value, the second field is the SHA-1 encoded value of "security". In section 3.a "Define a Connector", it is necessary to change the "Password cipher algorithm" value from "CLEARTEXT" to "SHA1". In step 3.b "Define a Resource", it is necessary to specify an external attribute for the Username mapping of "NAME". Finally, in step 3.c "Create a synchronization task", use the "DBSyncPasswordActions" action class. This class treats the password retrieved from the table as encoded according to the "Password cipher algorithm" parameter of the Connector ("SHA1" in this case), and to store it directly in Syncope without subsequently hashing it again, which is what would happen for the plaintext case. Note that the presumption is that the (hashed) password is HEX encoded in the table. After executing the synchronization task, then start a browser and navigate to "http://localhost:8080/syncope/rest/users/self", logging on as "dave" and "security". 3) Synchronizing non-cleartext passwords from Apache DS. This is an update from the previous blog entry on importing users and roles from an LDAP backend such as Apache DS into Apache Syncope 1.1. Follow the first step in the previous tutorial to set up Apache DS and import users and groups. Add some users, e.g. "colm", this time with a SHA-256 encoded password. Importing users with encoded passwords from LDAP is a bit more sophisticated than the DB case above, because individual users can have different digest algorithms with the LDAP synchronization case, whereas all users must have the same digest algorithm for the DB synchronization case. "http://localhost:8080/syncope/rest/users/self" using any of the users imported from Apache DS, regardless of the internal cipher algorithm that was used. Apache Syncope is a powerful and flexible open source tool to manage and orchestrate user identities for the enterprise. Last year, I wrote a series of four tutorials on Apache Syncope. The first covered how to create an Apache Syncope project, how to set up a MySQL database for internal storage, and how to deploy Apache Syncope to Apache Tomcat. The second covered how to import user identities and attributes from a database (Apache Derby) into Syncope. The third covered how to import users and roles from an LDAP backend (Apache DS) into Syncope. Finally, the fourth tutorial covered the REST API of Apache Syncope, as well as a set of Apache CXF-based testcases to demonstrate how to use the REST API of Apache Syncope for authentication and authorization. This will be the first post in a new set of tutorials for Apache Syncope, with a focus on updating the previous set of tutorials (based on Syncope 1.1) with some updated features and new functionality that is available in the recently released 1.2.0 release. In this post we will cover how to use the new UI installer for creating a Apache Syncope project and deploying it to a container. This tutorial can be viewed as a more user-friendly alternative to the first tutorial of the previous series. Please also see the Syncope documentation on using the installer. Next, download the JDBC driver jar for MySQL and put it in Tomcat's 'lib' directory. As we will be configuring a connector for a Derby resource in a future tutorial, also download the JDBC driver jar for Apache Derby and put it in Tomcat's 'lib' directory as well. Download and run the installer via 'java -jar syncope-installer-1.2.0-uber.jar'. You need to enter some straightforward values such as the installation path of the project, the Apache Maven home directory, the groupId/artifactId of the project, the directories where logs/bundles/configuration are stored. SubjectConfirmation methods. These security requirements are not properly enforced in Apache CXF when used with the TransportBinding, leaving endpoints that rely on SAML for authentication vulnerable to types of spoofing attacks. Holder-of-Key: If the subject confirmation method is "holder-of-key", there must be some proof-of-possession of the key associated with the subject of the assertion. CXF will enforce that either the key was used to sign some portion of the SOAP request, or alternatively the subject credential of the SAML Assertion must match a client certificate credential when TLS with client authentiction is used. Sender-Vouches: If the subject confirmation method is "sender-vouches", then CXF will enforce that the SAML Assertion and SOAP Body are signed by the same signature. Alternatively, it will check that TLS with client authentication is used. Bearer: The SAML Assertion must be signed (with an internal XML Signature) by default. 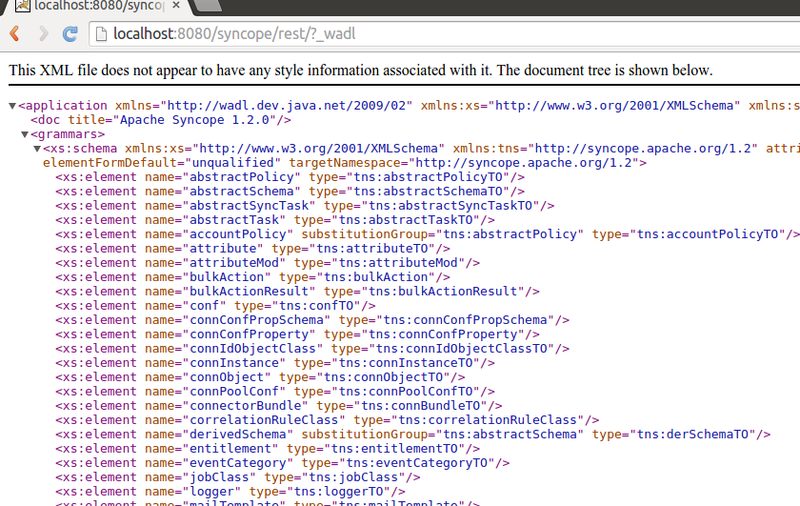 This can be configured in the latest WSS4J releases. In addition, the SamlAssertionValidator in WSS4J now enforces that at least one of the standard SubjectConfirmation methods (as listed above) is present. It is also possible to specify a given SubjectConfirmation method that is required.